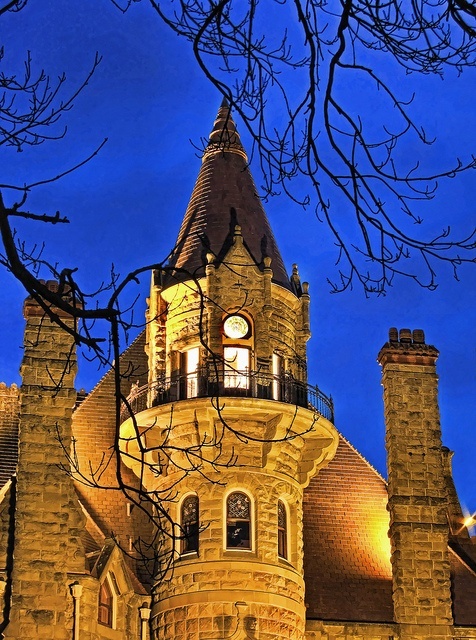 Craigdarroch Castle has 39 rooms and over 20,000 square feet (1,900 m2). It was constructed in the 1890s as a family residence for the wealthy coal baron Robert Dunsmuir and his wife Joan. Robert died in April 1889, more than a year before construction on the castle was completed. His sons Alexander and James took over the role of finishing the castle after his death. The initial architect of the castle, Warren Heywood Williams, also died before completion of the castle. His work was taken over by his associate, Arthur L. Smith, in 1890. James Dunsmuir also commissioned the construction of Victoria's second castle; Hatley Castle located in Colwood, British Columbia.